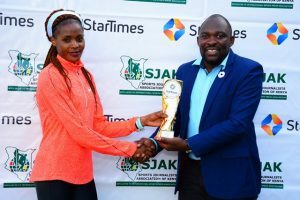 Sports Journalists Association of Kenya in partnership with StarTimes named the reigning 3000m world record holder Beatrice Chepkoech is the sports personality of the month of August 2018. 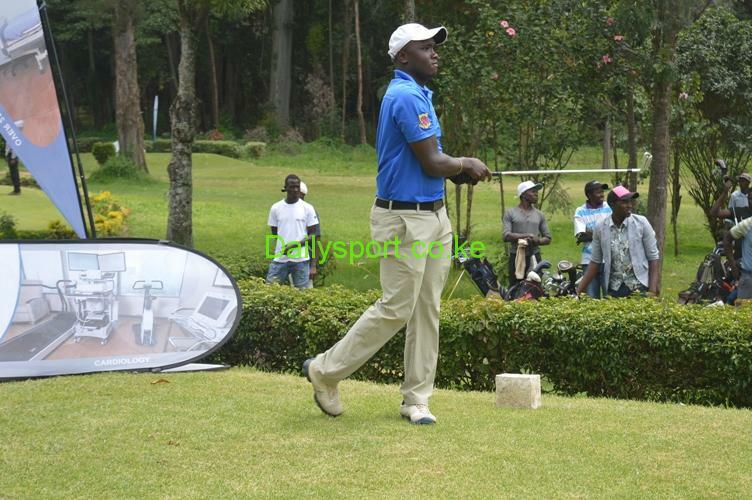 Chepkoech becomes the fourteenth recipient of the award that is sponsored by Pay TV provider StarTimes. Chepkoech won the 3000m steeplechase crown at the African Senior Athletics Championships in Asaba Nigeria in a championship record of 8:59.88. She followed this up with a convincing 8:55.10 run in the Diamond League final in Brussels, Belgium. The 27 year old took the award after getting 4 of 9 votes from the voting panel. 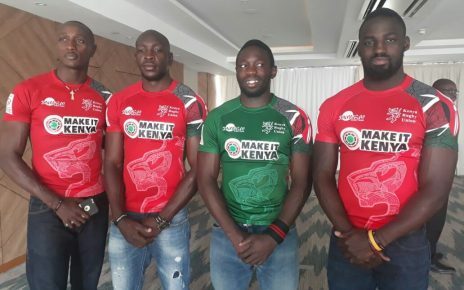 Her challengers for the awards were fellow African Champions Steeplechaser Conseslus Kipruto and High jumper Mathew Sawe who got 2 votes each while race walker Samuel Gathimba got 1 vote. Chepkoech was awarded with a 43 inch StarTimes Digital TV Set, 100,000 shillings in prize money, and a customised trophy. Other nominees included rising middle distance runner Edward Zakayo and Kwale Girls High School Striker Elizabeth Katungwa. “I am happy, I wasn’t expecting this award, you caught off guard but I am so grateful. 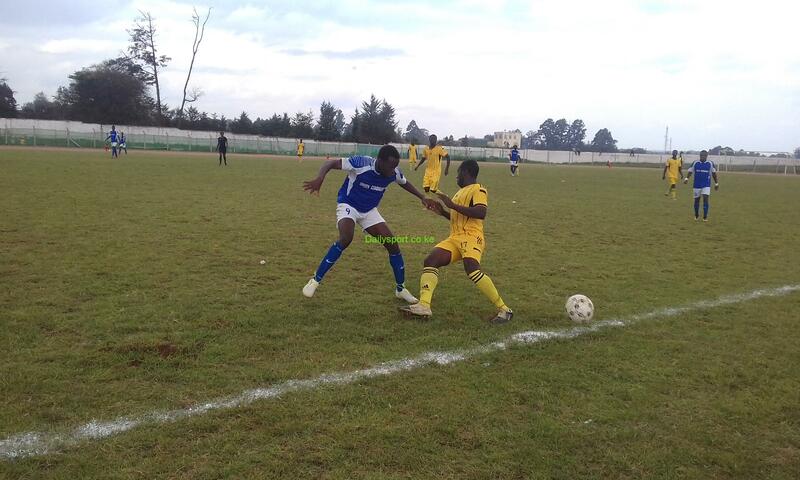 The season has favoured me well, last year I was disappointed with performance but encouraged myself,” said Chepkoech. “This award encourages me to work harder because when I perform well, I will get more awards like this,” added Chepkoech. 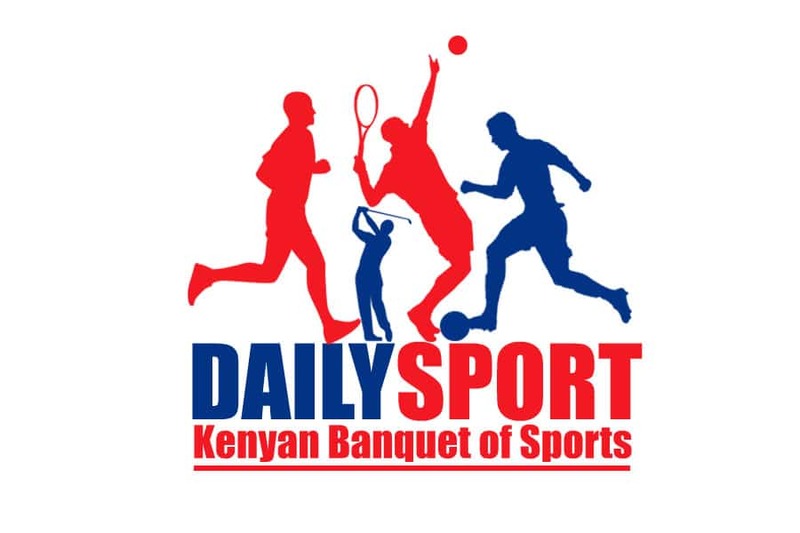 The sports personality of the month awards is a partnership between pay television Company StarTimes and SJAK to reward all deserving sports personalities on a monthly basis in a bid to bolster the general performance of sport in the country as well as whipping up the enthusiasm of Kenya’s sports men and women in the country. StarTimes Director of Marketing and Public Relations said that he has seen the award raise the standards of completion among local athletes. “Many athletes in Asaba delivered good performance. Followed by performances in Zurich and Brussels diamond leagues. Your performances in Asaba and Brussels stood out and that is why we are here to say congratulations for your performance and award you as the Sports personality of August and 14th winner,” said Akhulia. Star Times content covers diverse categories to meet the great needs of the Kenyan market including sports, general news, music, movies, TV series, entertainment, documentaries, religious programming and local channels.